The Chiefs put in a fantastic performance at Heinz Field where Patrick Mahomes starred. The scoreline flatters the Pittsburgh Steelers. The Kansas City Chiefs were in total control of the game from start to finish as Patrick Mahomes worked his way through the Steelers secondary time and time again. The Steelers came close to the comeback but ultimately fell short as they left their offense with too much to do, giving the Chiefs their first win over the Steelers in 32 years. 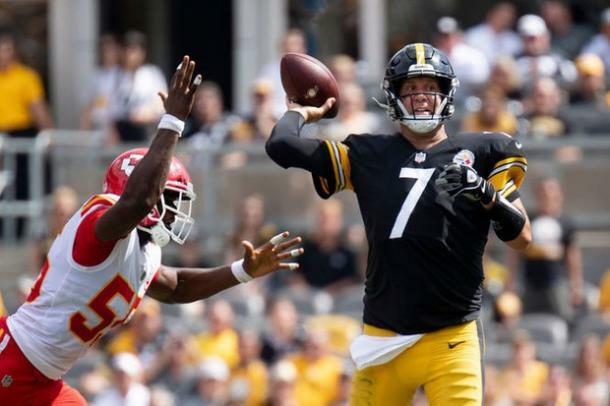 The first quarter was a sign of things to come for the Steelers as the Chiefs were not only able to silence the home crowd with three touchdowns but also stopped the usually productive Pittsburgh offense from finding the end zone. Patrick Mahomes found Chris COnley with a 15 yard touchdown pass and the Chiefs did not stop there. 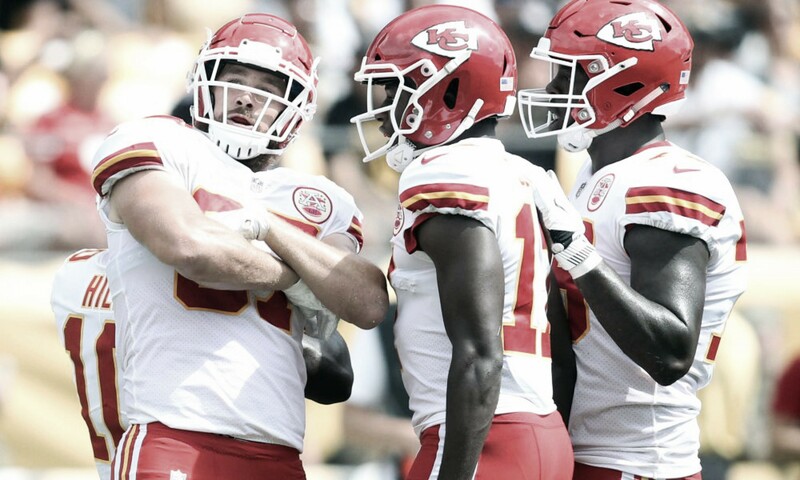 After stopping the Steelers offense on two more occasions, Mahomes found Travis Kelce and Kareem Hunt with 19 yard and five yard touchdown passes respectively. The Steelers secondary could not stop Mahomes and their defensive line had trouble beating the Chiefs offensive line all game long. Pittsburgh came alive in the second quarter and responded with three touchdowns of their own. First, Ben Roethlisberger connected with tight end Jesse James for a 15 yard touchdown pass and then Juju Smith-Schuster got in on the act as he got two yard touchdown reception to end another solid drive by the Steelers. The half ended with both teams tied as Roethlisberger connected with rookie wide receiver James Washington with a 14 yard touchdown pass. Both teams knew they had to make adjustments defensively at the half in order to win this game and whichever defense did so effectively would determine the outcome. The second half showed that neither team's defenses had figured out their opposing offensives and both teams traded touchdowns throughout the half. Travis Kelce got his second of the game as the Chiefs scored first in the second half with a 25 yard touchdown reception but the Steelers responded as James Conner continued his good form from last week with a one yard rushing touchdown. 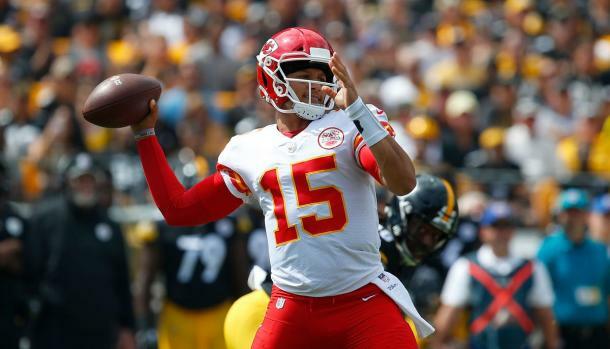 Kansas City then pulled ahead as Mahomes connected with Demarcus Robinson and Tyreek Hill to pull ahead and give themselves some breathing room as the clock ran down. The Steelers knew that they had little time to mount a comeback but they pulled it off. As the Chiefs tried to run down the clock, Hunt got tackled in the end zone by Artie Burns and Morgan Burnett, forcing the Chiefs to give up a safety. Then Roethlisberger marched the offense down the field before running for three yards to score another touchdown for the Steelers. With not much room to maneuver with, the Steelers secondary gave up a silly pass interference penalty as the Chiefs went on what turned out to be the final drive of the game and stopped the Steelers offense from having enough time to try one more time for a game-winning touchdown. The two quarterbacks may not be the headlines of this game as most people will focus on the two defenses, in particular the Pittsburgh one which has now given up 63 points in their first two games of the season, but they should be. Mahomes finished his day with six touchdowns and 326 passing yards while Roethlisberger finished the game with three touchdowns and 452 passing yards. On any other day, those types of figures would be significant for both quarterbacks but the main focus should be and will be on how abysmal both defenses performed. The Chiefs will now face the San Francisco 49ers next week as they look to go 3-0 in the AFC West while the Steelers a Monday night game next week against a red hot Tampa Bay Buccaneers team. Both head coaches will hope to have sorted out their defenses by then otherwise fans will be in for more high-scoring games.